If you are currently suffering with chronic pain, headaches, or experiencing chronic illness in your life, you may want to consider an alternative form of medicine that goes far beyond that which is provided by pharmaceutical companies and Western medical doctors. Holistic healing has been practiced for centuries, in many different modalities, focusing on the treatment of the body as a whole, not just the symptoms. There are many practices including acupuncture, reflexology, and hands-on healing that have been used for decades in the United States, and one of the premier practitioners is Dr. Tatyana Yakovleva. Combining the many different healing practices found in both Western and Eastern cultures, she has created the Amita Healing Center, an energy healing Brooklyn NY business. Here is an overview of what this healing center may be able to do for you, and we will begin with a brief overview of why Dr. Tatyana Yakovleva may be able to help you with your existing conditions. Who Is Dr. Tatyana Yakovleva? Dr. Yakovleva was one of the first alternative medicine practitioners in Russia. She has training in not only yoga and Reiki, but is also skilled with breathing techniques, acupuncture, and hands-on healing. She is a graduate of the New York Institute of Chinese Medicine, as well as the International Institute of Su Jok Korean acupuncture. She has used alternative strategies for helping people resolved medical conditions that they have had including use of naturopathy, homeopathy and holistic approaches. The many patients that she has helped at her Amita Healing Center with 80% seeing dramatic results after only six treatments. She offers a wide range of healing treatments, and also classes that teach people how to heal themselves, allowing people to fully recover from medical conditions on a long-term basis. There are many different treatments and classes offered at the Amita Healing Center including integrative therapies and healing approaches that are used to treat very specific conditions. She also offers self assessment healing courses, a healthy spine class, as well as workshops and seminars that teach holistic healing along with Reiki attunements. Dr. Yakovleva has been able to use all of her techniques and modern equipment to help people not only recover from illnesses, but help with weight loss, neurological issues, and also facial rejuvenation. She understands that the first step to resolving any health related issue begins with understanding the root cause. She uses a state of the art Orion Bio-scan that is able to capture what is called Bio-Energy to properly assess how each person’s energy needs to be rebalanced. Using her wide range of holistic therapies and treatments, along with the workshops and classes that she offers, each person that attends the Amita Healing Center will be able to experience a significant improvement. Best of all, even if you have no prior knowledge or experience with holistic medicine, you will be introduced to some of the best homeopathic and naturopathic solutions from this energy healing Brooklyn NY company. If you have ever wanted to experience what alternative healing can do for you, or perhaps learn more about holistic treatments that are practiced today, you should consider setting an appointment with the Amita Healing Center to find out what they can do for you. Dr. Yakovleva has helped thousands of people worldwide, utilizing her vast experience and her ability to heal. 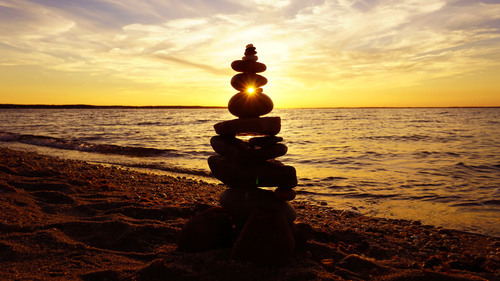 Find out more today about Amita Healing Center, the best energy healing Brooklyn NY business that is ready and willing to help you resolve the issues that you have right now. Click Here to Get A Consultation Now!